I know, I know. We don't want to think about it. Winter. 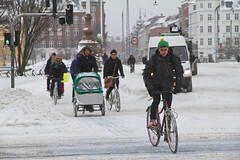 The last two winters in Copenhagen - and most of Europe - have been bitter cold. Sub-zero temperatures hitting -30 C with the wind chill and snowstorm after snowstorm rolling in. Remember, open your closet... it's filled with cycling clothes. 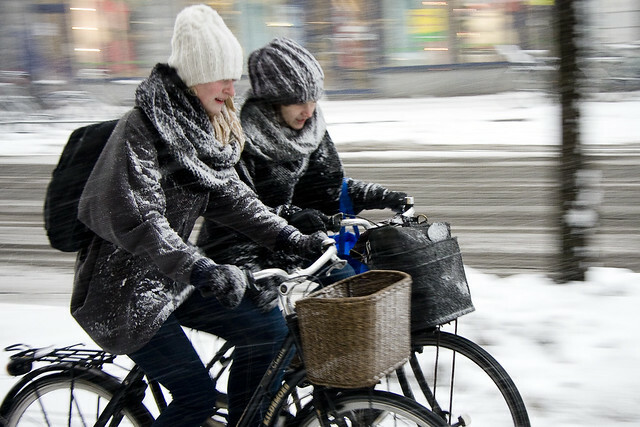 So let's try to jinx winter by posting about winter cycling. It's a long shot, but we're willing to give it a go. 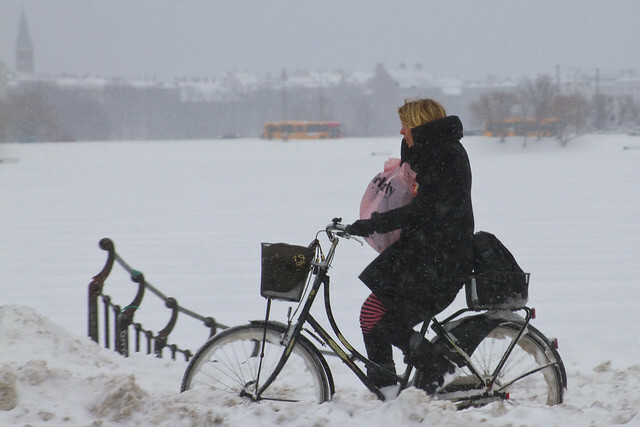 The bicycle is still the quickest way to get around. 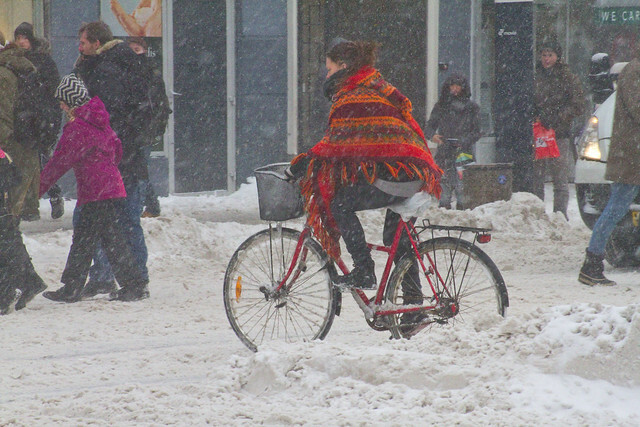 Colourful scarves add spice to the snow. 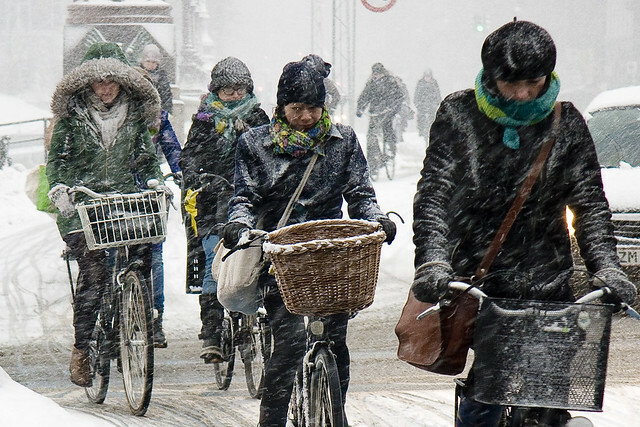 There is always something to share the snowstorm with in Copenhagen. Shopping knows no seasonal borders. Colourful knit is the new goretex. Here are a couple of films we made. One for fun and one for the City of Copenhagen. 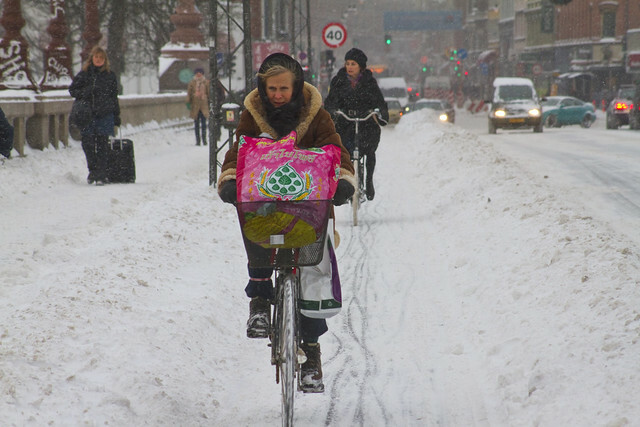 Great post and wonderful fodder to throw at all the twits who say Canada is too cold or too snowy for winter cycling. @Chris -- Canadians would still find an excuse. Weather is just one of many people have in their excuse book in this country. 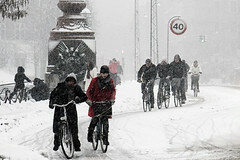 My cities winter weather is quite similar to that of Copenhagen...Actually we may even get less snow. For most of the year I find motorists respectful in my city, but when snow is on the ground, it seems like they try to scare you off the road. 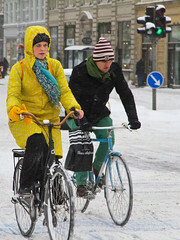 Cycling when there is snow on the ground is quite easy and safe...providing you don't have those 'twits' intimidating you. Wow! What a great series of pictures; can't wait for more. Also, this makes me feel pretty lame for being such a cold weather weenie & putting my bikes up for the winter! 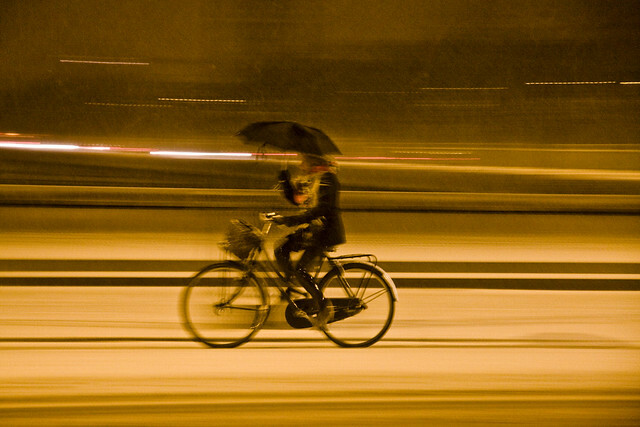 Cycling in a snow storm is actually fun! I hope we get enough snow to overwhelm the snow removal guys. Car drivers get so kind and careful when they lose their sense of power and control. Envy . Pure , unadulterated and unabashed envy ! Why ? Because KC,MO in the best of weather is a horrible place to ride , never mind the depths of winter . As well as KC is one of those US cities who from time to time ( last two years ) gets a fairly strong winter and has no clue how to deal with it . 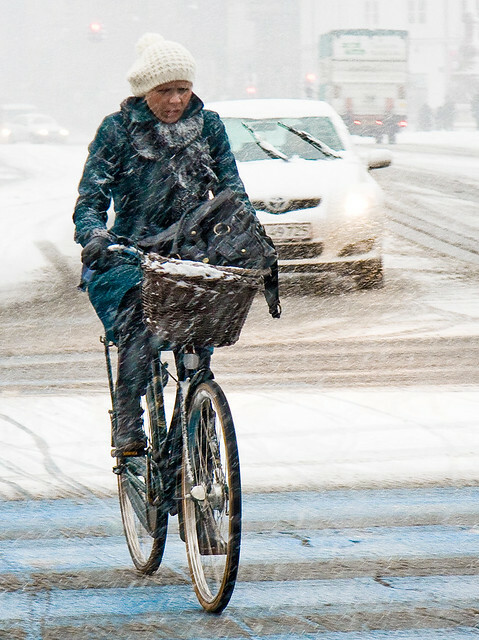 Oh do I miss being back in Denver Co with a Bike culture , paths , decent winter maintenance etc . Peace .... Quiet ..... No traffic . The entire KC downtown completely to myself . But as to weather I go by the Norwegian Wisdom . 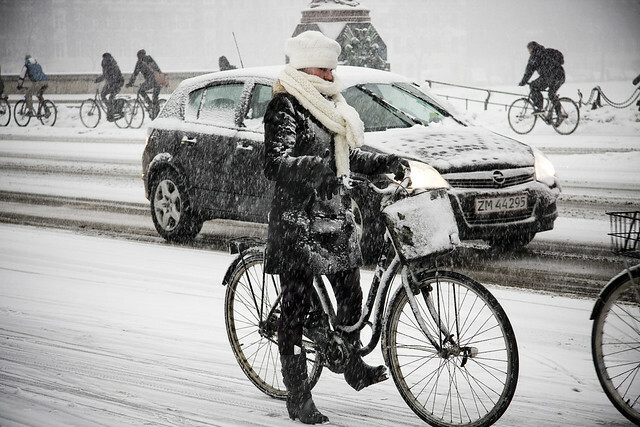 There is no such thing as bad weather , only bad clothing . this is it for me ~ it keeps me going. 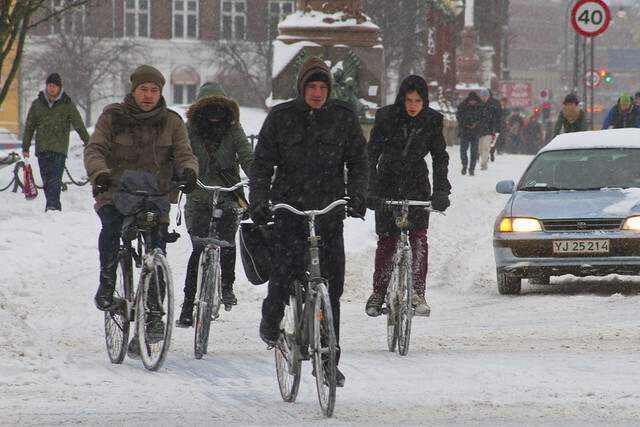 thank you Copenhagen cyclists! I aspire to you. 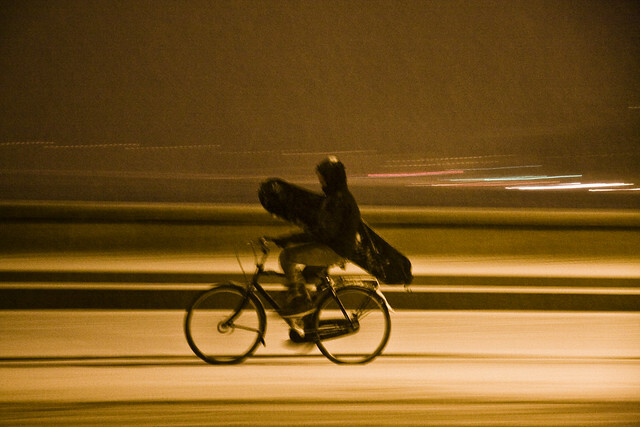 Wow, snow bicycling!. 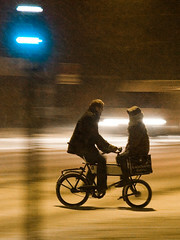 Around here if you bicycle at nite in the snow it is just suicide. But any real accumulation brings the city to its knees for auto traffic. What a wonderful reminder!